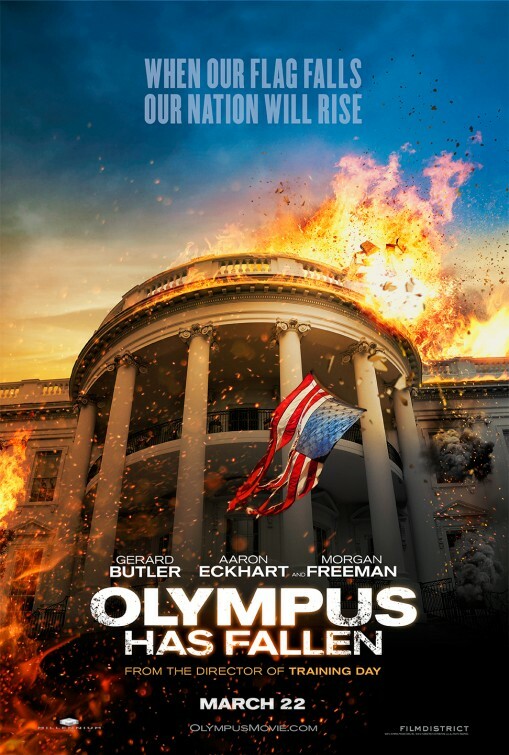 Starring: Gerard Butler (Law-Abiding Citizen), Aaron Eckhart (Battle: Los Angeles), Morgan Freeman (Deep Impact) and more. Rated: Rated R for language and strong violence. A while back, this film made it onto my list of anticipated disappointments of 2013. Hit the jump to read my thoughts if it met my expectations. 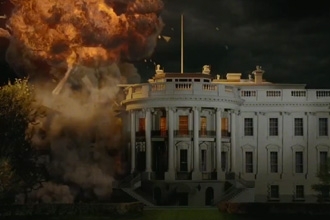 Hollywood loves, I mean, LOVES to blow up the White House. Perhaps bitter descendants of British soldiers from the War of 1812 secretly rule and control the coffers of Hollywood (But, then again, perhaps they don’t since Judi Dench and Gary Oldman still never seem to win an Oscar.) In films like this, the question lingers in the back of one’s mind: “Man, what if this really happened? Could it happen like this?” and as the gravity of such a dire situation sinks in it adds a completely different element to the watching experience. An all-star cast is put together to tell this action-packed story that I must admit to enjoying. 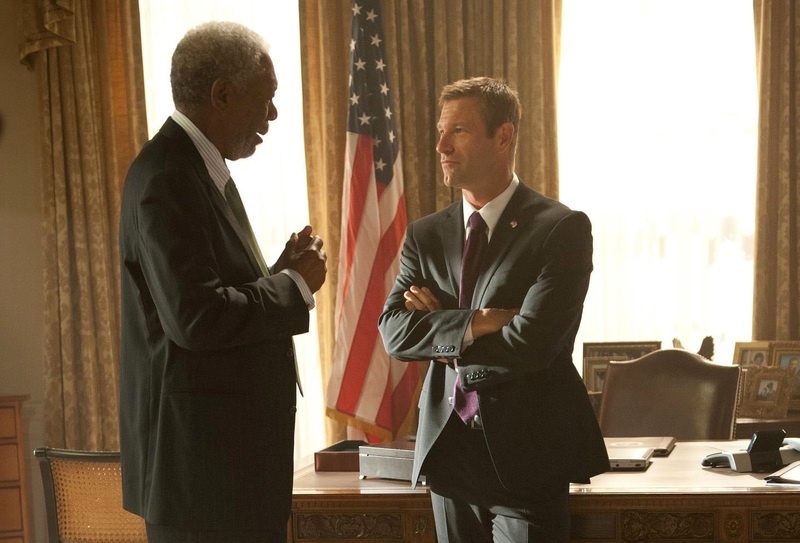 Gerard Butler, Aaron Eckhart, Morgan Freeman, Melissa Leo, Dylan McDermott and more make this a gripping movie to watch from the very beginning to its torn and tattered end. Granted, it is not the best movie and while the Die Hard references will just not die, it is fun, albeit a bit expected, predictable and cookie-cutter, but that’s to be expected from a film like this. Come on! They ALL have the same formula and that’s why we watch them! Man, that was just…fun. There were several moments that I had to “shut off” my brain as it were. Don’t question too much and you will enjoy it more. Goes to show what happens when protocol isn’t followed. One correct judgment call could’ve derailed the entire plot. I wonder what the plan would’ve been then. Action-packed, violent and dark at times, yet pulls on the emotions with an adequate balance. Created chills along with causing compassion through the characters. 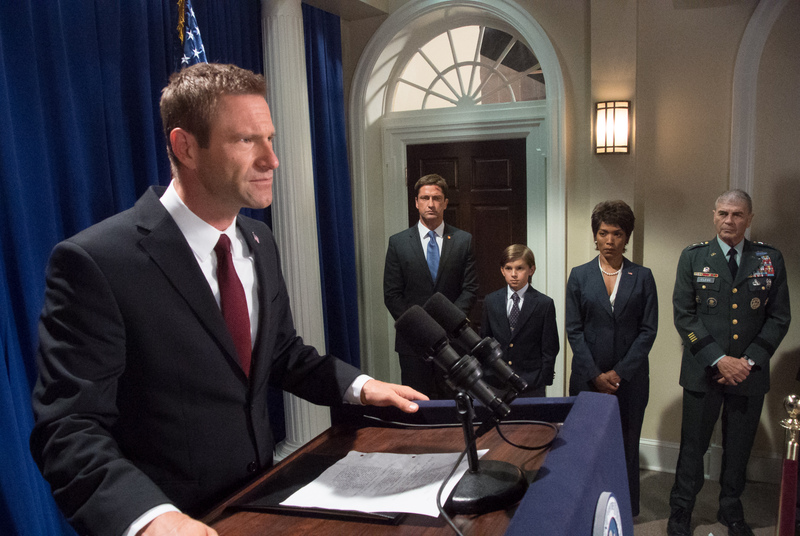 The story leads to an ending, but I would’ve been alright watching Butler fight through the White House a little more, believe it or not. Hated the horrible CGI. Bad. But…I’ve seen worse. This film was on my list of “Anticipating the Top 12 Most Disappointing Movies of 2013, Part 1” and I don’t mind saying it actually surprised me instead as I may have rolled my eyes in a few places, (I wanted to throw up my hands a few time and ask “Really?”) but still liked watching it. Anyone remember Sinbad’s First Kid? I thought about it during this movie. 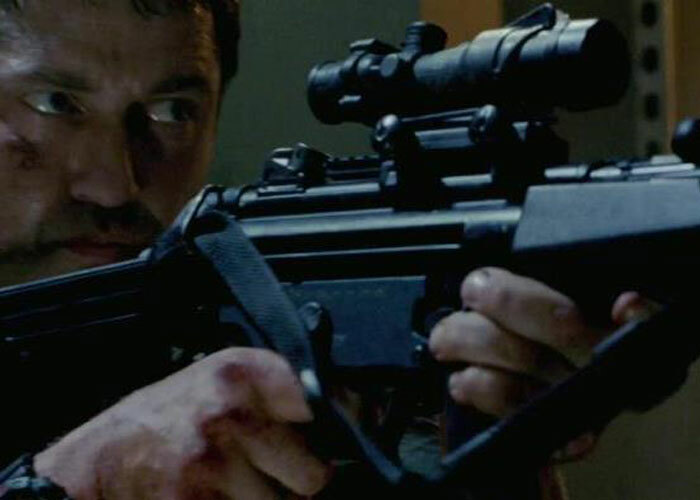 Thank you, Gerard Butler, for a pretty good job on a “What If” movie that started strong and kept its momentum. Thank you for replacing some of the credibility of the destroyed name of the one who was King Leonidas. I liked it and can’t say I didn’t. Haha, I laughed listening to my 3am musings (<—there’s that word again!) of the film! I didn’t put all of my ramblings for you to read, nor shall I, but there ya go! Yes, many will compare it to Die Hard, and rightly so. But it still has its own credible threats with a villain that could have had more to offer, a storyline that was cliche but credible (or at least can make you believe so) and a set of events that brought home, literally, the “reality” of the situation and the level of danger. A few moments of “Saw that coming” and “Really? There’s No Way!” but it will still make you cringe, cover your eyes and maybe even cry. But you will also cheer and clap. Now, whether you do any of these because of what happens in the movie or because the credits begin rolling at the end is up to you, but I think it will be more for what the film accomplishes (or seeks to). 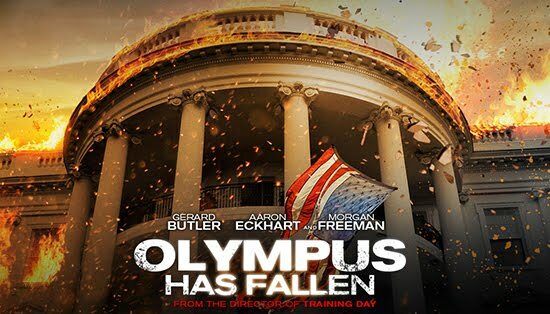 Olympus Has Fallen did not fall below my expectations. Again, it’s not the greatest, but it definitely released at the right time of the year and serves as a welcome reprieve given all the garbage in the theaters as of late. I’d go see it again personally before watching Oz the Great and Powerful a 2nd time. Actually looks quite good. 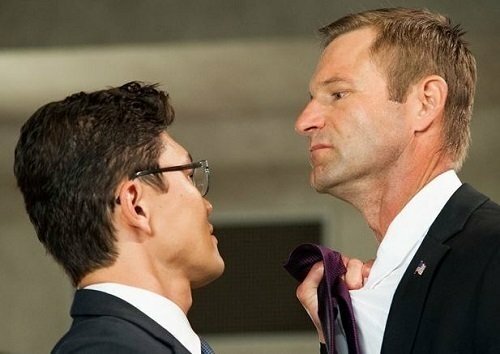 I like this kind of gung-ho, action, blow up the White House kind of film. Great review, thanks. Definitely on my to-see list. you will enjoy it! 🙂 it’s def gung-ho! Thanks so much for stopping by and commenting. Let me know what you think of it when you do see it. yep! and I can’t wait to read your review. …And This Review Totally Makes Me Wanna See It Soooooooooo Much More!!! I would’ve enjoyed this film more had it not taken itself so seriously and yes I was surprised how violent it was. Also, considering its budget, they should’ve spent more money on the effects, it looked like something out of the mid 90s. Heck some films from the mid-late 90s has better effects than this movie, Twister, ID4 and The Rock are just some examples. I know what you mean, Ted. I still enjoyed it. There were a couple violent moments that shocked me and made me say “OOOH!” ha. I thought of ID4, The Rock and Twister while watching, so it was pretty funny to see you mention those 3 specifically. Ultimately though, I’d go see it again I think, with some friends. Nice review T. Can’t say I’m overly fussed about seeing this. I might check it out if there’s nothing else on I want to see. Thanks my friend. I didn’t expect to really be impressed on any level with this film and it managed to make me like it. I feel all patriotic at the moment. haha. I wasn’t really expecting much out of this one either. A middle-of-the-road actioner sounds about right. there were some moments in the film that definitely asked me to shut off my brain. “amusement.” ha, my Socrates moment was inspired by the comment you left on my Battleship review! remember? absolutely! massive flaws mixed with massive emotions and rousing moments. oh man, I was moved when Melissa Leo was being dragged while screaming the Pledge of Allegiance. Talk about creating a sense of patriotism. GB did well and I hope this is a step in the right direction for him.